Classic f/2.8 telephoto zoom lens with superb low-light performance and depth of field control. 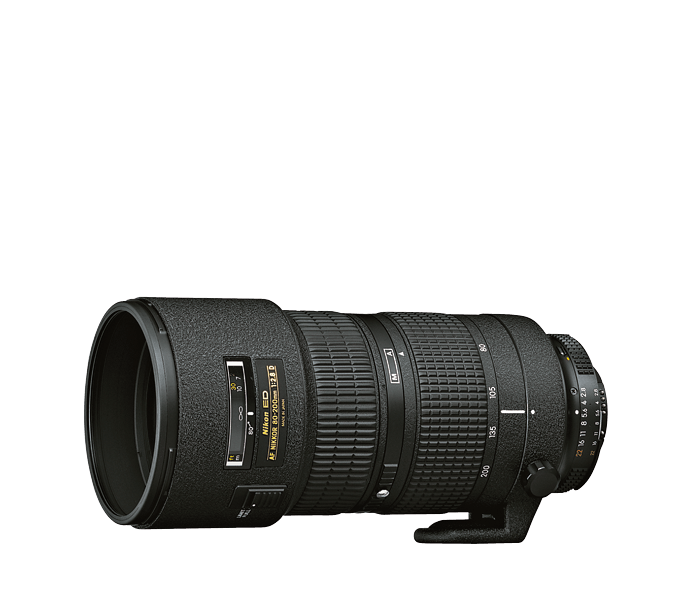 A shining example of superior NIKKOR optical design, the AF Zoom-NIKKOR 80-200mm f/2.8D ED is a high-performance constant aperture telephoto zoom lens that produces brilliant photos and HD videos across its entire 80-200mm focal length range. Its ultra-fast f/2.8 maximum aperture delivers bright images with beautiful background blur (bokeh). It’s an excellent choice for serious sports, wildlife and portrait photographers, and it excels in low-light situations. At its widest aperture setting of f/2.8, the AF Zoom-NIKKOR 80-200mm f/2.8D ED delivers maximum light to your camera’s sensor. This means you can shoot at higher shutter speeds and still achieve bright, sharp images. And since you can open the aperture to f/2.8 throughout the entire zoom range, you can maintain a consistent exposure from any distance. Create brilliant images in exciting new low-light situations. The AF Zoom-NIKKOR 80-200mm f/2.8D ED offers superior depth-of-field control for giving your photos and HD videos a natural, soft background blur (bokeh). Separate your subject from the background, or draw focus to a specific area of your composition. Nikon’s Extra-low Dispersion (ED) glass ensures superior sharpness, contrast and color correction, even at the lens’ maximum aperture setting.